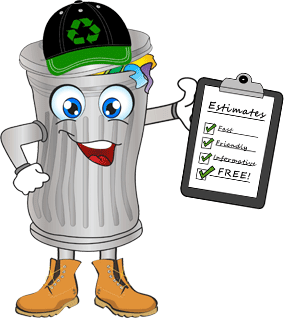 Junk Removal For Less With Trash Can Willys! 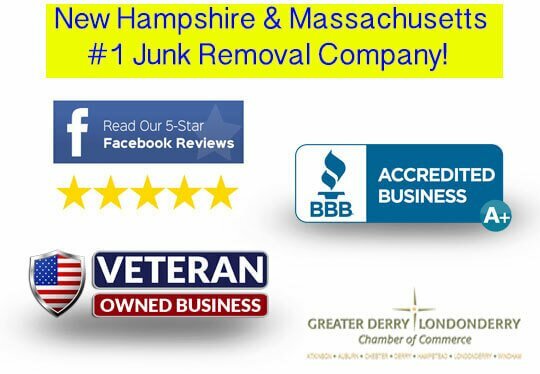 All you have to do is point and our friendly staff will remove your junk from wherever it may sit on your property! From whole house cleanouts to just picking up and disposing a television no job is too big or too small. You name it, we take it all! There's very few items we can't take. Our junk hauling prices are extremely unique compared to other local junk haulers. We are almost always at least 30% less because we don't use "cookie cutter" pricing! Instead, we use larger trucks, our owner works so we have less overhead, and we offer discounts on items we can donate or recycle since we don't have to pay to dispose of them. Sometimes, we even buy your junk! Courtesy calls when we are on our way! 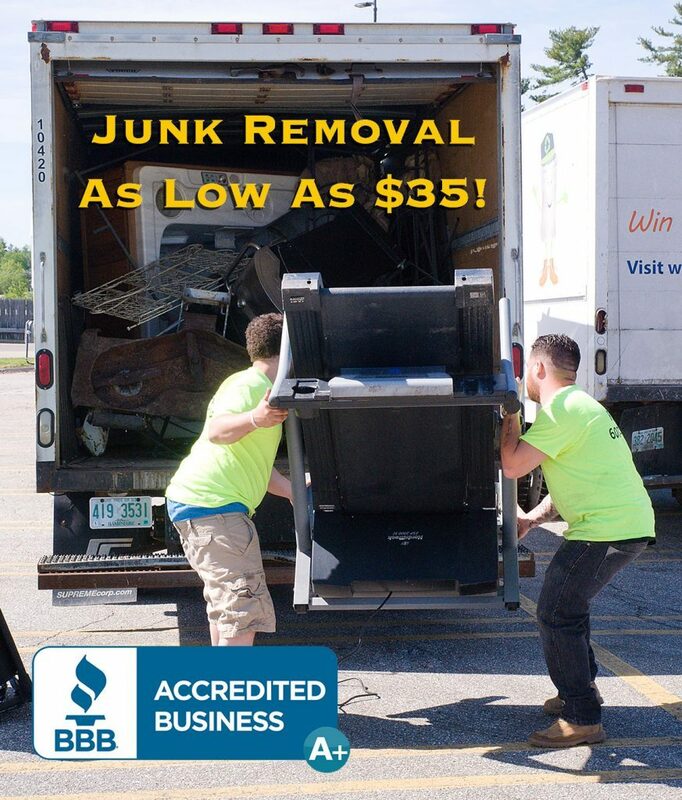 We recycle or donate up to 85% of what we haul away! 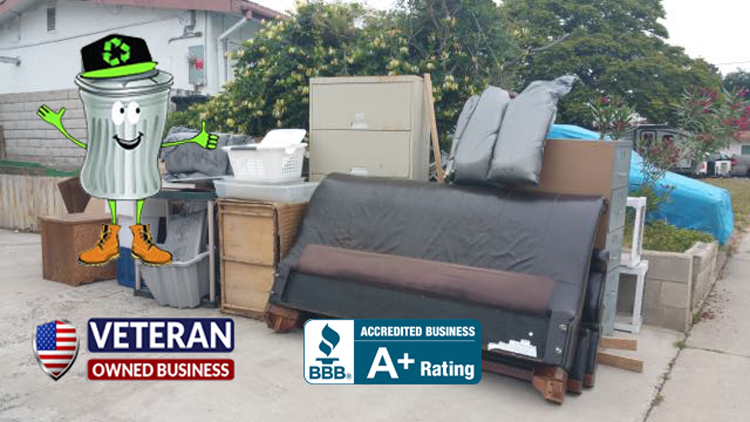 If you have a pickup trucks worth of junk or less to be disposed of and you can get those items to the curbside of your property we have the most affordable Bulky Item Pickup Service in the area, and will give you the service you need for the price you want! To be included on our route for any given day the price is just $15! 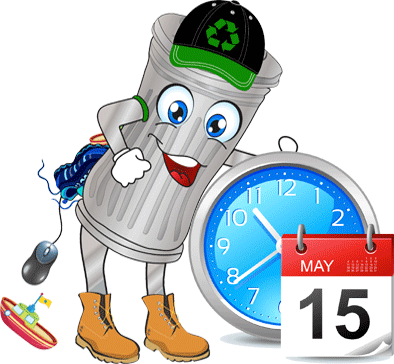 Learn more on our curbside junk pickup service! Shin Lima - "Very professional and courteous. The two workers keep me informed of when they would arrive. It took 45 minutes to load lots of junk and the price was fair." Emily Linde - "I needed some old furniture and random junk removed from my basement. TCW came out in the snow, hauled everything away, and at half the price of another local service. They were on time, professional, and quick. Very happy." Bob Schober - "Very good. Your personnel very helpful and polite....would use again. I too am a Veteran"
Amy Solomons - "I am a Realtor and I recently sold a property where the previous homeowner left some debris. I made a last minute call to Trash Can Willy's and they came out same day and took it all. The guys who came were friendly and courteous. I will definitely use this company again." Aaron Majka - "Great experience with Trash Can Willy! The price that was given was right around I expected. The representatives that showed up to my house Kevin and Matt were great. They were courteous, quick in removing the junk from my house and most importantly they showed up on time. You can't go wrong with this service especially if you don't have a vehicle to remove trash in bulk. Great job guys!!" Amy Dietrich - "Very professional and courteous. The two workers keep me informed of when they would arrive. It took 45 minutes to load lots of junk and the price was fair." Dawn Marie Roberts - "Zack and Matt were there right when they said they would be. They were very professional and left the area we had lots of items we needed to get rid of before our move they made sure they got it all and had a pleasant attitude as they worked. Definitely would recommend them!" Paul Pinazzo "Awesome service, had a few other things to get rid of, very professional and very reliable service. All of the employees I have dealt with this far have exceeded my expectations. This is my 3rd time using your services and I will call on your company again should the need arise." Jill Hosking-Cartland - "Excellent service today by the fantastic team of Curtis and Scott. They had a lot of oddly shaped furniture pieces to haul away for me, and completed the task quickly and professionally. I can not recommend this service more highly. My clients have used them several times, and also report that the service was outstanding. They show up on time and are careful about trying to honor the original quote provided when I called to book the service. Outstanding company, outstanding team - I'll be recommending them very highly to clients, colleagues and friends." Have you used our service before? Tell us what you think!